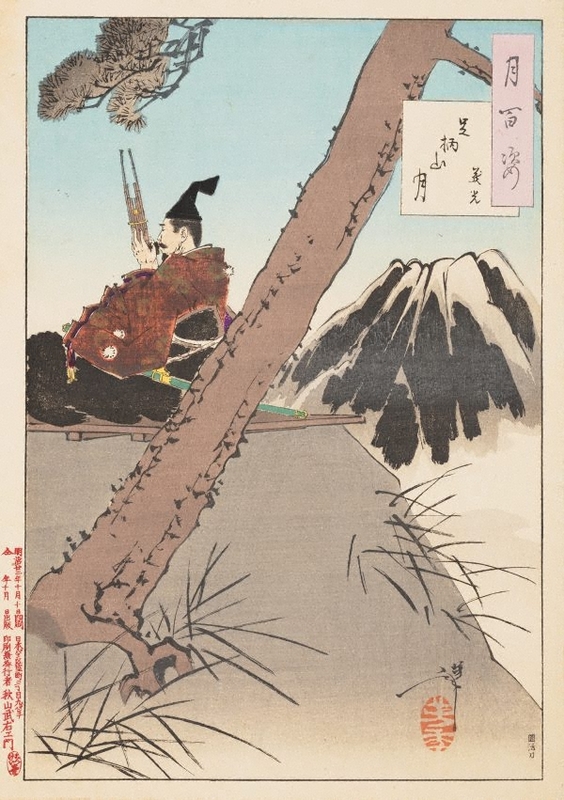 The 11th-century courtier and warrior Minamoto no Yoshimitsu was not only accomplished in martial arts but, above all, in music. His favourite instrument is the 'sho', a mouth organ made with bamboo reeds. One day, on his way into battle, he was followed by the young son of his deceased sho teacher. Yoshimitsu tried to convince the youth to turn around, but could only do so after he agreed to teach him a beautiful tune that he had learnt from the boy’s father. This event took place on Mount Ashigara on a moonlit night. The story is recorded in ‘Collection of things heard in the past and present’, a history compiled in 1254.